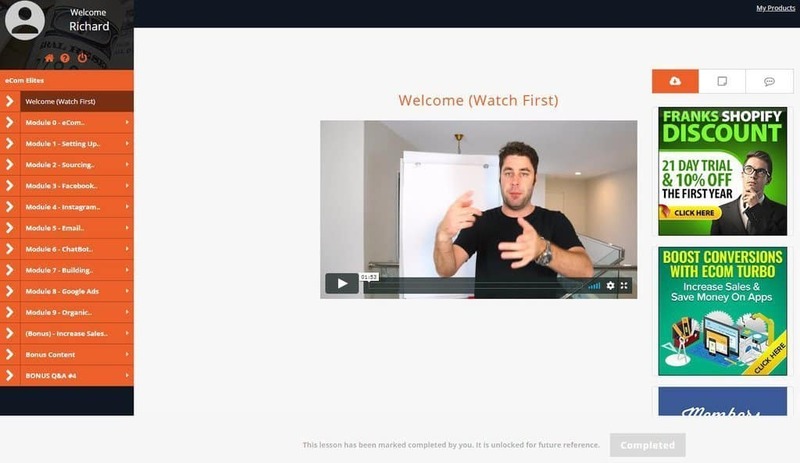 eCom Elites Review: The best dropshipping course in 2019? I have written an eCom Elites review after Franklin Hatchett has recently updated his dropshipping course eCom Elites. Is it a scam or a product that will actually help you make money online? Is Franklin Hatchett’s Course Worth It? Do eCom Elites have support? Who are eCom Elites for? So why buy a course when you have youtube? Hi there, my name is Richard, and I bought the eCom Elites course for some time ago. This review is updated and based on eCom Elites 2.0. eCom Elites 1.0 was replaced by 2.0 and everyone that bought the first version also received this update. I have to say that was a very nice surprise from Franklin Hatchet, the course creator. More about him later. The dropshipping method is usually about advertising products on Facebook to test. If you sell for more then you are using in advertising, you have a winning product. Dropshipping can be an awesome method to make money online, but many people struggle. And many of those that have received some initial success with one product struggle to find more winning products. When you find your winning product, you can scale this business to the moon if you do it correctly. So most people need to invest in their self, and the most common method is a drop shipping course. There are so many courses out there, and I suspect that most of them earn more money by selling courses then actually doing drop shipping. So you have to choose the correct ones, so you are not fooled by false gurus with photoshopped earnings. So this article is written to help you find the correct one. I was interested in eCom Elites after I have watched several youtube videos from Franklin Hatchett. I liked all the value he delivered in his channel and loved how he structured and talked in his videos. So when I saw that he had a dropshipping course, I was very interested. So after reading his sales letter and watching a couple of more of his videos on Youtube, I was sold. Mainly since the price was so low compared to what I was used to. So I got instant access and started to watch his videos. I already had a Shopify store, so I decided just to follow his guideline and install the themes and add-ons he recommended. I followed his advice regarding finding, and testing products and I tested a lot of products. I was close to give up, maybe because I was already a bit tired of this and see Facebook taking my money. I’m thinking back to that time, and I was probably a bit tired before I started with the eCom Elites course, so I probably didn’t test so many products, it just felt like that. I found a winning product based on Franklin’s advice, and I was both happy and excited. I increased the advertising cost like we were told and I managed to scale it to a nice income. So eCom Elites is working and the methods Franklin will teach you can be a life changer. In the next chapter, I will go through the course, and you will see the difference between the two offers. 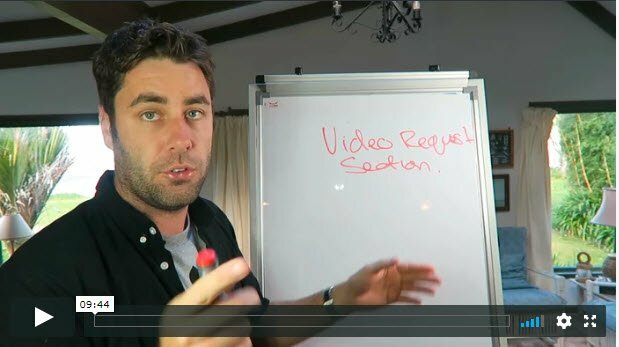 In this course, you will gain access to more than 160 videos with pure content and no fluff. 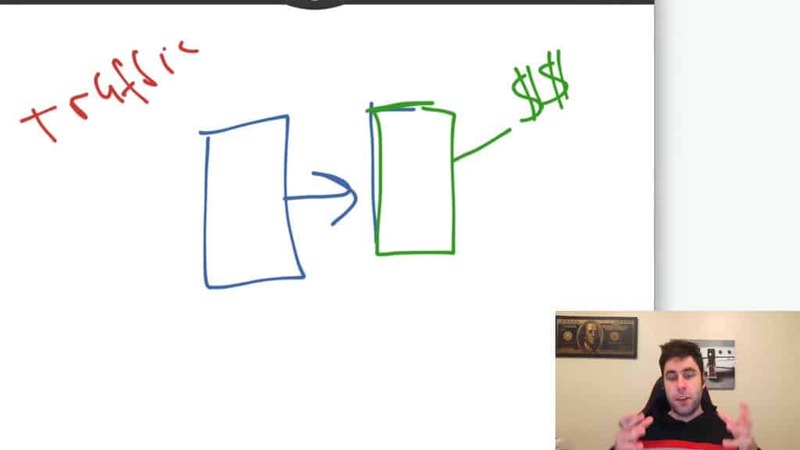 Franklin Hatchet often does his videos in front of a whiteboard or computer while he is showing his exact step what he usually does. His teaching style is not very formal, and he is honest. His way to teach tells me he knows what he talks about and doesn’t need to oversell and try to force trust from us. One short welcome video where Franklin thanks you for buying his course. 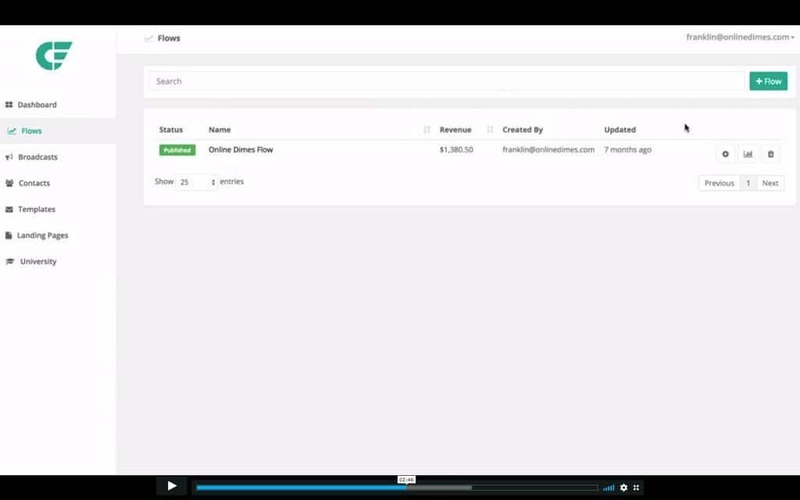 Two videos explaining the ecom business and drop shipping in detail. Franklin explains how this model works, and he also has a motivation video where he talks and shows the results his students have with his course. Shopify is the most used platform for dropshipping, and because of that, you have multiple plugins and software to help to automate your store. This course is based on Shopify. Franklin goes through the concept of general store and niche stores. A topic you see a lot on different facebook groups. Then he shows you from start to finish how to set up a Shopify store. He recommends both a free Shopify theme and his premium Shopify theme eCom Turbo. In the beginning, a free theme is perfect as also Franklin tells you. However, Ecom Turbo is used by many successful stores so you should consider it. You will learn all the steps in how to get your store up and running. 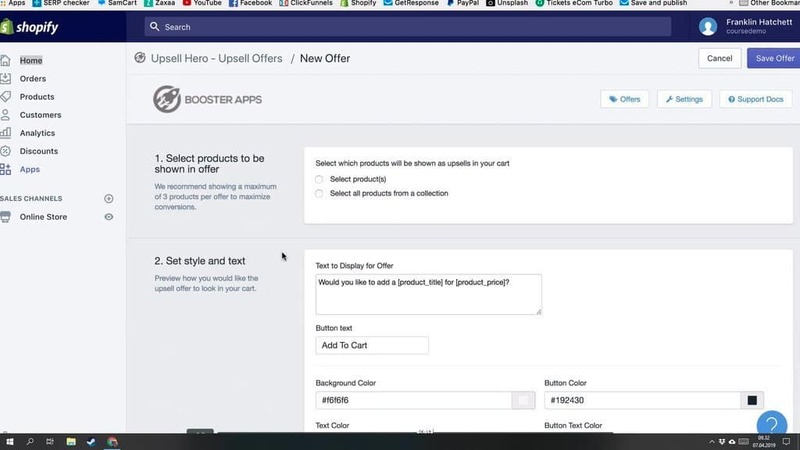 Everything from how to customize the theme to add products, shipping strategies, coupons and how the store funnel works. You will also learn how to set up a simple upsell, something you should do very early, but is not required in the beginning. Taxes are also something that many people are asking about, and Franklin goes through that topic also in this module. What I like is you also learn how to set up your store outside the USA. The payment is a bit different, and there are many questions about that from non-US dropshippers that sells in the US. So this is very nice and not usually taught in other courses. If you have some questions regarding that, you can also ask in the comments at the end of this article. I’m outside the US, but the US was my primary market. I will answer all your questions about this and others you may have. This module has 19 videos. Here Franklin goes through how to set up a simple upsell. To find winning products is essential for this business model. Then you need to know what to search for and how to find them. 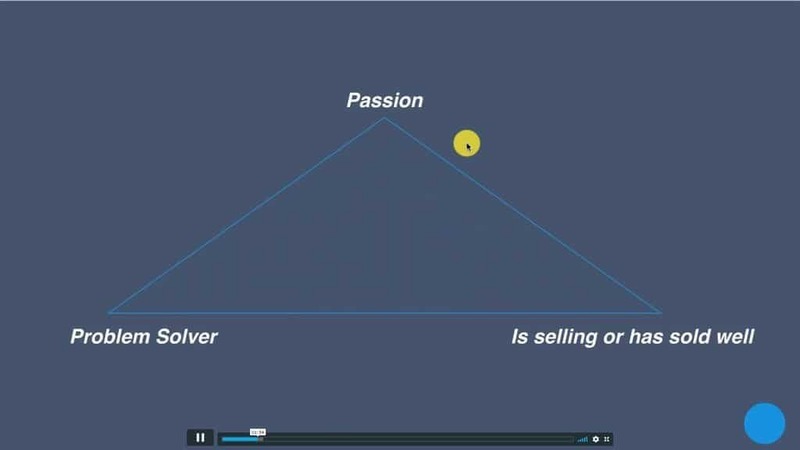 Franklin goes through the triangle of sales. What you should look for when doing your research, so you don’t add random products to your store. I remember I was told to I just needed to test products in my first course so this is an essential video. Spying on your competition and find their winning product can be a description of success. This can be done both in their store or where they do their advertising. Franklin will teach you multiple methods, and you should use most of them in your search for the next product you want to test on the market. This module contains 22 videos. 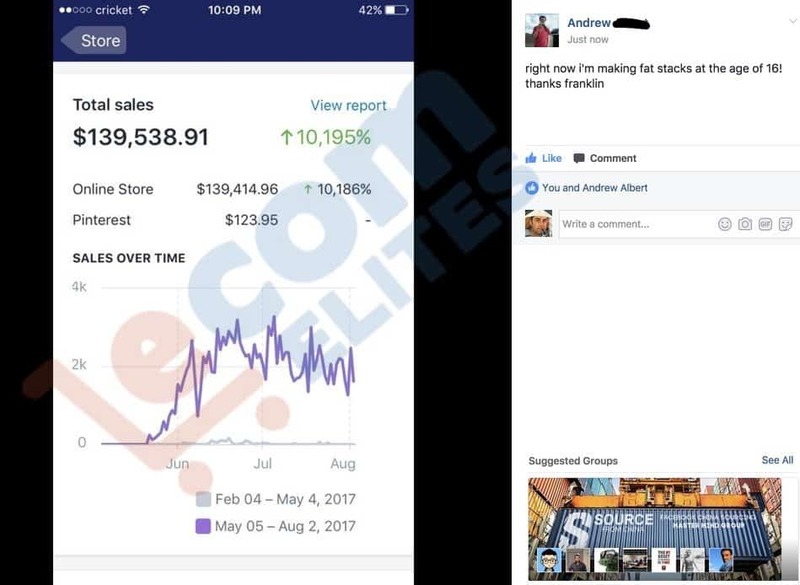 Facebook is the most important source of customers, and this was the only source you were taught a few years ago in dropshipping courses. Here you learn every aspect you need to know regarding Facebook advertising. 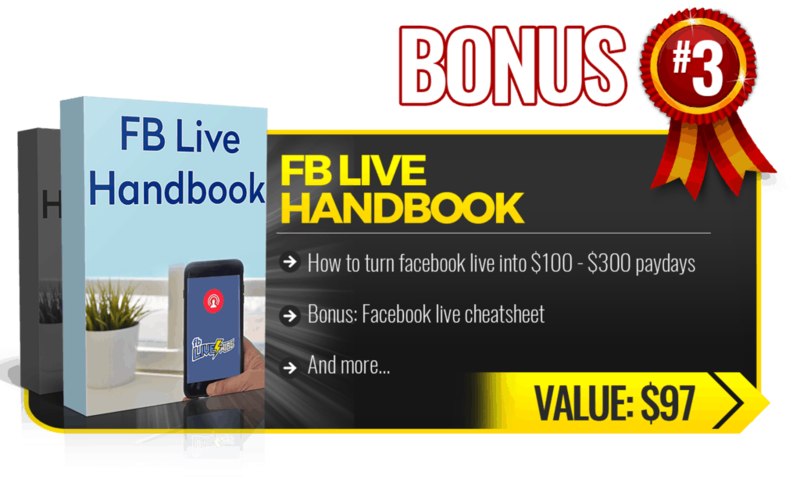 You will learn everything from setting up a business account on Facebook to add a facebook pixel and all the technical aspect of Facebook advertising. So when you are ready to start advertising, you need to learn how to do it. How much should you spend on the budget when you are testing products? How long do you test each product? And more importantly, you got a sale, what to do now? All this and more is explained in this section. The videos are short and specific, so you can skip videos that you already know. 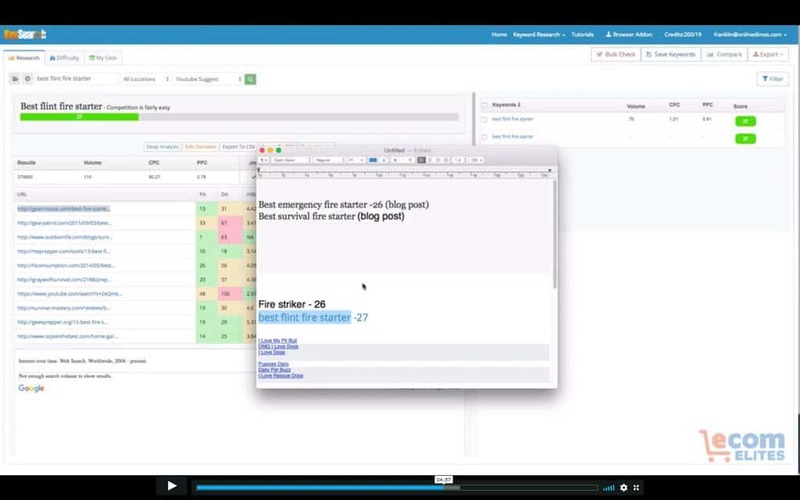 This module contains 34 videos. Lately, Instagram has become more popular as a source of customers. Both to advertise on and buy advertising from influencers. In this module, you will learn how to do advertising and retargeting. This is easy enough if you have gone through the Facebook traffic module. To advertise on Instagram, you need to do it through Facebook. What is a bit more complex is to advertise through influencers. They do not always have their customers best interest in their mind, and many people have been scammed by so-called influencers. They can charge too much or have an Instagram account where almost all their followers are paid for and are most probably bots. Bots do not purchase from you, so here it’s a minefield to get lost too. SO we are lucky to have several detailed videos on how to spot the right influencers and what you should expect to pay for their services. 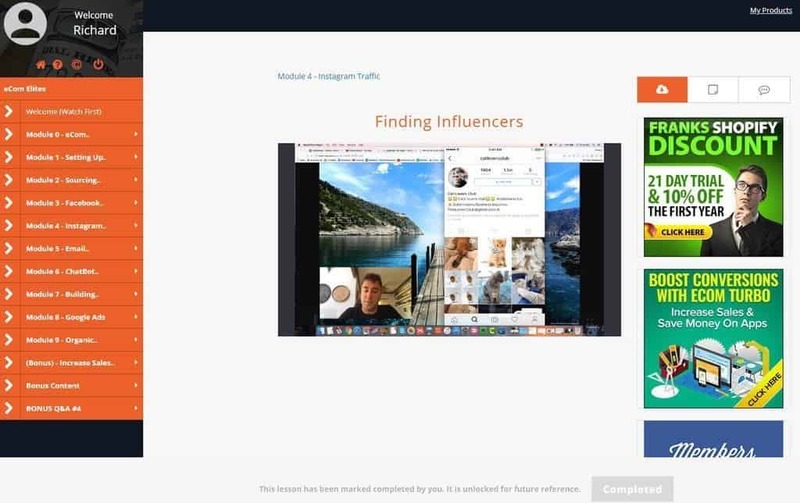 Franklin teaches you how to find the best influencers for you to use. This module contains 9 videos. Email marketing will be more and more critical in the future. You can earn up to 30% of your revenue from email marketing so be sure to start early. Especially with abandon cart emails. What Franklin recommends is for you using Contact Flow as an autoresponder. An autoresponder is a software that stores the email addresses you have collected, and you can send them emails. Both automatically or manual. He goes in great detail regarding how to send emails, what to write and how to build an automatic email flow. 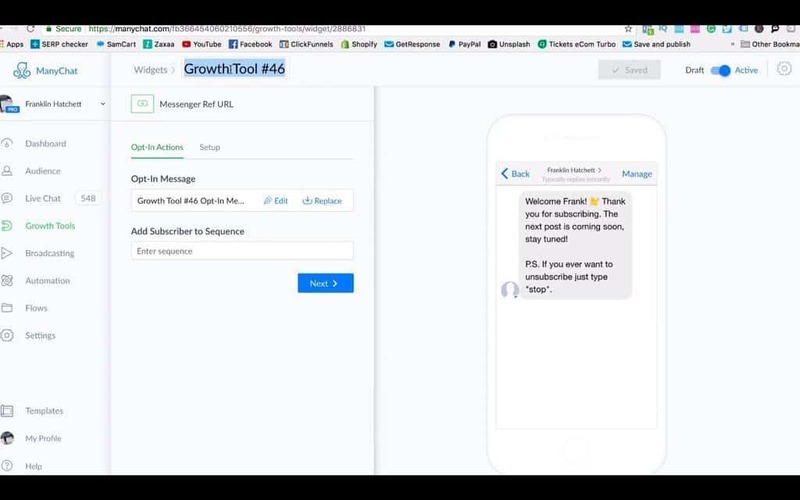 Most of what you learn in this module can be used in most autoresponders. That’s why he also has a couple of videos about how to use MailChimp. I want to note that Shopify and MailChimp are not so easy to connect now, maybe they sort out their conflict in the future. This module contains 14 videos. A screenshot from where Franklin is going through the email marketing part in eCom Elites. This is Contact Flow. Chatbots are new, and many people are searching for information on how to incorporate chatbots in their business. It’s an excellent method to connect to your audience and something you absolutely should do. You can sell through chatbots, and you can send order information to your customers. This will also improve your customer service, and you can be a bit overwhelmed by all the questions you can receive. What most store owners love is that they will understand their audience much better and will be able to change critical components with their store that can skyrocket the sales. This is information you also want to collect. Here Franklin is explaining chatbots in a software named ManyChat. This module contains 12 videos. You need to buy the Ultimate deal to get access to this module. I love funnels, and I’m convinced you should implement sales funnels when you have found your winning product to increase your average order value from your customers. This training is based on ClickFunnels, a software where you can build sales funnels and A/B test your pages so you can optimize for maximum sales. So when you have a winning product, you can create a better sales page in ClickFunnels. Then you can add a upsell. For physical products, it’s recommended to give your customer the option to buy more of the same to a discount. After that, you can offer others, but related products. That way you can increase the average order value. This is very important when you are paying for the traffic to your store. A quote from Dan Kennedy, a serial, multi-millionaire entrepreneur. With the increased advertising cost, you should try to make the most out of each customer. Sounds a bit cynical, but as long you are offering something that will help them. Everyone should be happy. This description is a bit long and is showing my love for funnels. When you order eCom Elites, and if you pick the Ultimate offer, you will understand why. Franklin is explaining how to use ClickFunnels together with Shopify. This module contains 15 videos. Google advertising was widespread in the past before Facebook. Then more and more people started with Facebook advertising, and the advertising cost increased. Now more people are beginning to look to Google again. You will learn how to set up a Google advertiser account and how Google works. Franklin will explain how to create a search ad, like them you are seeing at the top when you are doing google search. You will also learn about retargeting that is important. If you do retargeting at both Google and Facebook, most people will get another chance to order from your store if they didn’t do it the first time. 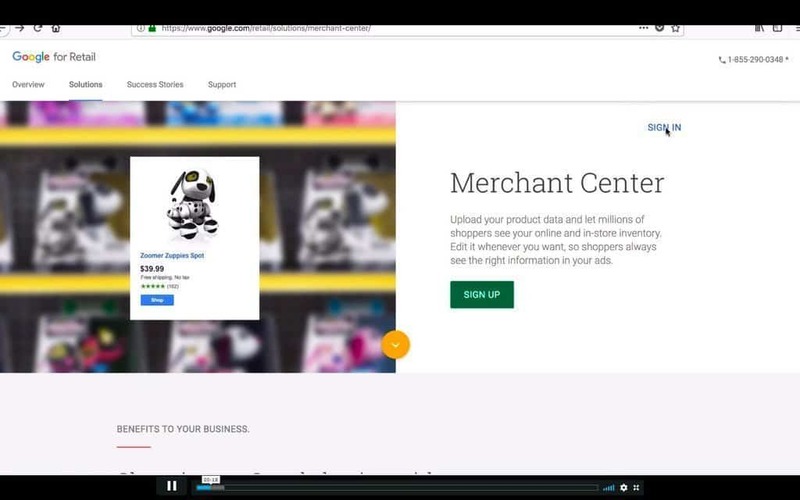 Google merchant is also explained in this module with a step by step guide on how to do this. Even a video about how to do advertising on Youtube. This module alone is worth the price of the whole course. So I recommend you to go for the Ultimate offer when you are buying eCom Elites course. Franklin is explaining Google Merchant account in this video. This module has 17 videos. Franklin is doing keyword research in a software he using. Franklin started with SEO and affiliate marketing, so this is something he really knows about. SEO is the most common method regarding drop shipping, but you should have it in your mind while creating headlines and product description. If you want to create a blog for your store, then this module very important. To create a blog is not recommended in the beginning, but can over time create a steady flow of traffic. This module contains 8 videos. Here you learn about how to increase your average order value even more and some secret videos. One of them is by using coupon site… How can you use coupon sites to earn more money? You can find this secret and other secrets inside this module that contains 7 videos in total. 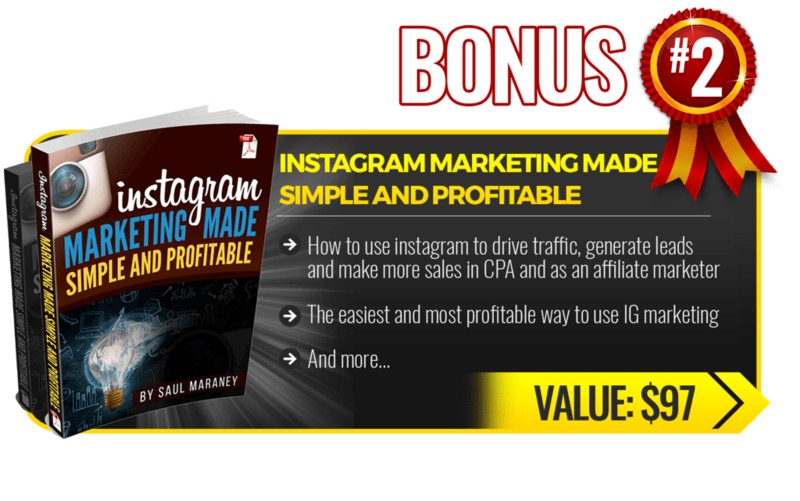 This is the bonus module where you find his top niche book and his top product book. Read through these books and you will get ideas about what you can try to sell. From the sales page, I understand the books are for those who bought the Ultimate deal only. The two books and 4 other videos are inside this bonus module. Franklin is delivering another bonus, and this is 6 Q&A videos where he answers previous questions. I assume more will be added in the future. With eCom Elites, you will receive proper support. You can reach Franklin with both email and on the private Facebook group dedicated to this course. 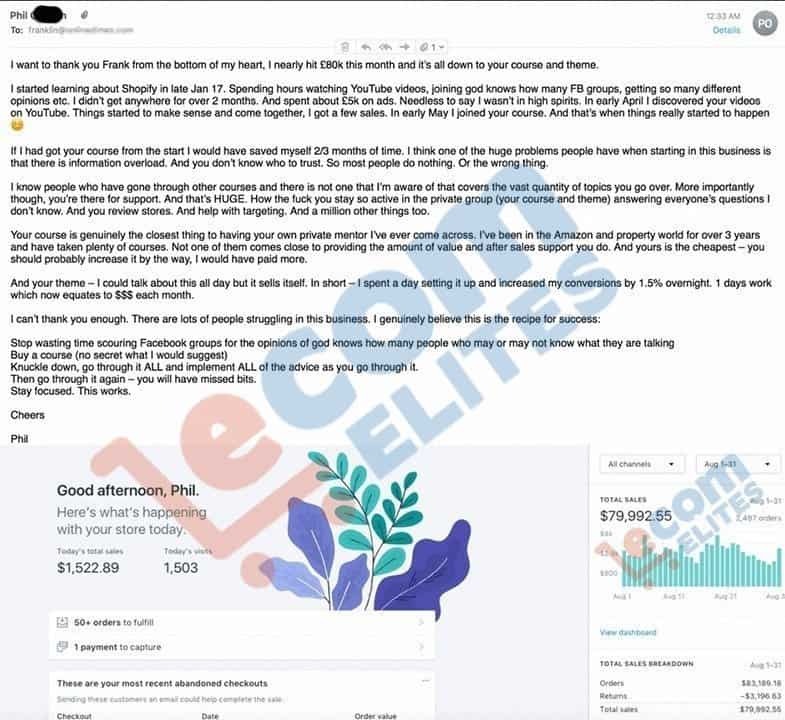 When you buy the course, you receive an email that encourages you to join his private facebook group named “eCom Elites Exclusive Hideout” for the buyers of eCom Elites. This masterclass is a Facebook group where you can engage with others. There is also a link inside the member area of the course. When you apply for membership to the group, he will manually approve you. You are usually accepted during the next 24 hours. The Facebook group is active with a lot of successful members that love to help. Franklin personally answers every question that is asked. You can also send email to his support, but I guess this is more for private matters. If you want to ask about the training, the Facebook group is the best place. In the Facebook group will also other members learn from the questions asked. Franklin Hatchett is from New Zealand and has been in online marketing for several years. He started his online career with affiliate marketing and was successful with niche sites. This is my understanding based on all his YouTube videos and his different courses. In 2015 he started with eCommerce and dropshipping with Facebook ads. He was successful and was able to repeat his success again and again. Some of his friends loved this idea, and he started to help them create their own dropshipping shop. He then knew that he was able to teach others to become successful and live their lives on their own terms, so Franklin decided he wanted to create an online course and help even more people. 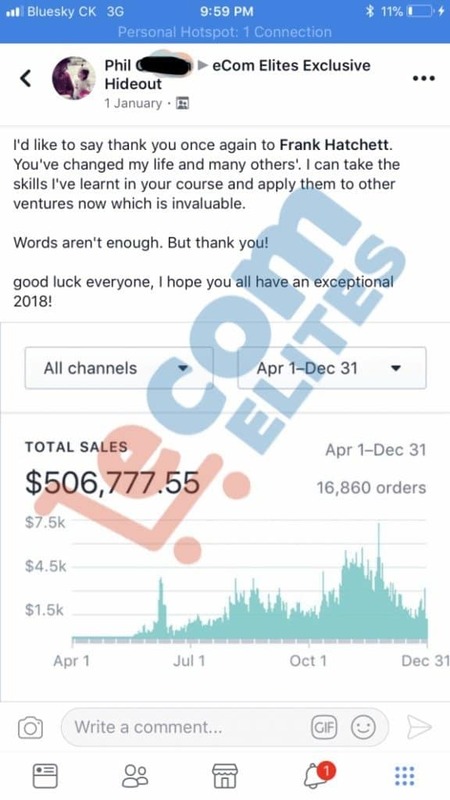 This is the story behind the dropshipping course eCom Elites. The dropshipping business evolved a bit, and people wanted more ways to receive people to their shop, so he updated his course in late 2018 to include more options regarding where to advertise. He also updated how the course is presented and with new tactics that Franklin had success with. This course is for people that want to learn dropshipping by using Shopify. I felt eCom Elites was in the beginning for both beginners and intermediate users. After the update, experts can learn from eCom Elites also. 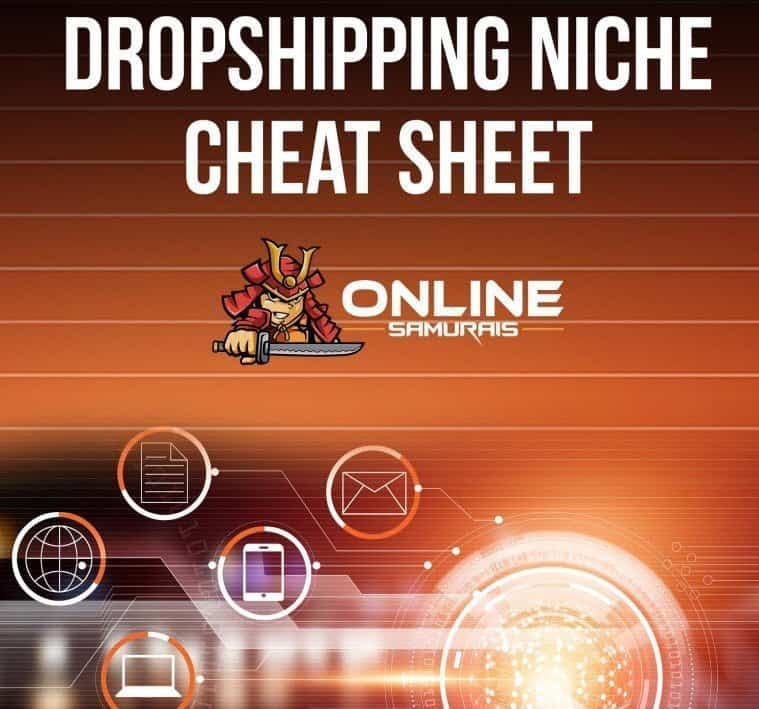 Beginners will learn the basics of this drop ship model. You will also learn how to set up your Shopify store with advice on which theme to use. Franklin will give you information on witch free theme, and he will also recommend his premium Shopify theme eCom Turbo. 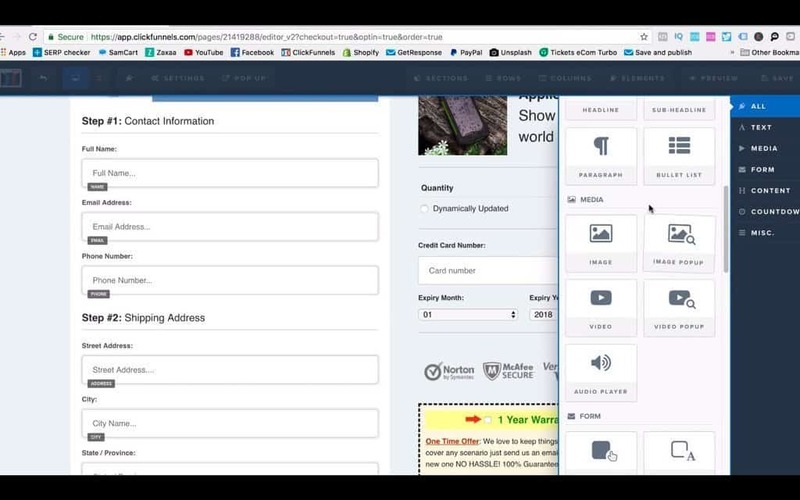 The Shopify theme used in his course his a free theme so no buying pressure. You will also receive basic training in how to get people to your store and how to make them a customer. Intermediate users will benefit from the advanced training and email marketing. Not everybody knows how to use Google advertising to get customers, and in this course, you will learn that and even more sources to receive customers. I also want to mention the training on how to create sales funnels is essential. In the secret module, you will learn the basic on how to grow your business and make the most of it. Your time is limited, and at one point you should hire help. Franklin gives you advice on how to find the virtual assistants you need to scale your business. Experts that is running a successful business, but want to expand to other sources of traffic will learn from this course. The first dropshipping course I bought was an expensive one. The cost was $2997 I believe, but most people received a discount and paid $1997. This expensive course was not better then eCom Elites. The support was not better either. What I received was training in Facebook ads and how to set up our shop. This was the standard at that time so even as this course is way better, the standard for today’s courses is higher than a few years back. What I also received was a bunch of poorly made software that they have developed that should help us in our drop shipping business, but most people that got some success ditched the software early. The paid software that exists out there was far better. Then they made an updated course the year after with improved tactics and was highly recommended also for existing customers. We got a big discount, so I paid $1497 I think, maybe a couple of 100 bucks less than that too. I didn’t get the updated version for free as I did with Franklin Hatchetts eCom Elites. That course was not far better then eCom Elites. New training with newly developed software that was poorly made and once you had some success, you switched to paid versions since they saved you a lot more time and struggle. After these two courses, I learned the lesson the hard way, self-developed software with sky-high value is not something you should go for. Then you have Alex Beckers H-Com 3030 and Adrian Morrisons eCom Success Academy that is great premium and popular courses. They have a bit better support since they have some coaches, but the training is on pair to eCom Elites 2.0. So why not choose the less expensive course, so you have more money to do advertising? Step by step and over the shoulders videos. Franklin Hatchett is outstanding in explaining. You will also learn how to get customers from multiple sources. Franklin will teach you email marketing that is very important. You will learn about sales funnels that is important and will be even more critical in the future. There are no written worksheets with a summary. Not an important one. What do you think about my eCom Elites review? I love to hear your thoughts in the comments. If you want to start with drop shipping, you can begin to watch videos on youtube. You will receive a lot of information, but also conflicting advice. You will get information overload and spend way too much time on youtube and never start with your drop shipping project. I know all about this. Or you can buy this course, the best course I have ever purchased for the money where you receive step by step videos, and you will build your business with the information you have just collected. You don’t need to know your complete roadmap before you begin, you need to know the next step. So where do you find the information about the next step? That information is in the following unwatched video in eCom Elites 2.0. That way you will not get information overload. And most important, you will take action! The single biggest reason people are failing in their internet business is that they don’t take action. And I’m convinced Youtube and scrolling on Facebook and Instagram is a huge part of that. When I went through eCom Elites, I found a winning product by using Franklin methods and made some money. At that time I didn’t think I would write a review of the course, so I don’t have any screenshot of my earnings. This is an updated review based on eCom Elites 2.0. So I’m using a couple of what Franklin and his students have posted in his facebook group. The best eCom Elites reviews are from the students. Below are some success stories that prove this course worked for me and others. You will receive a great course with eCom Elites, but I want you to succeed. I know everything about struggling and how it feels. So I want to add some extra bonuses if you buy through my affiliate link. 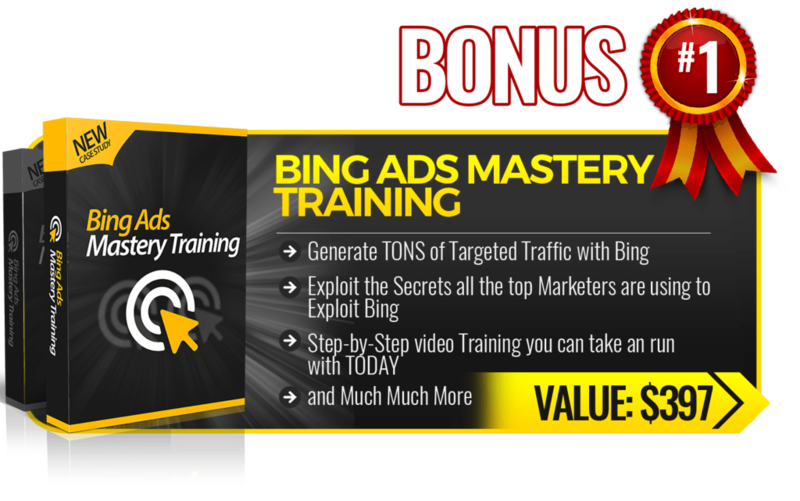 Bing ads are not included in the course, so here you go. Instagram is included in the training, but here you have additional training. Facebook Live can be an excellent method to connect with your audience. I also know of people that have made millions by doing product presentations on Facebook Live. All this can be yours if you buy through my link, just contact me and I will send you the bonuses. eCom Elites 2.0 is an excellent e-commerce course at a reasonable price. You receive a lot of value for all the hours of training, and this is the course I recommend if you are serious about drop shipping. Drop Shipping is not so easy as it was before and many struggles to gain success. With this course, you will receive all the knowledge you need to start your 6 to 7 figure a year dropship business. You can go for the standard package and save some money. eCom Elites are today heavily discounted and I believe the two training modules you are missing out are important. Google ads are more important now that Facebook ads cost more. That way you can try Google ads if you struggle with Facebook ads. I believe sales funnels are important and will be even more in the future. 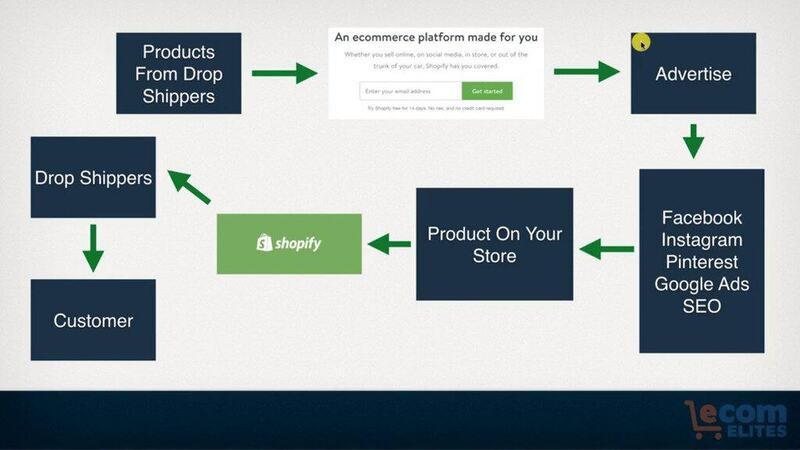 Even Shopify write that you should have sales funnels when you have a product that you sell heavily. A sales funnels will increase your average order value. The businesses that are able to pay the most for a customer will always survive. I highly recommend eCom Elites 2.0, both packages. I hope you enjoyed my eCom Elites Review and I answered the questions you have, if not please ask them in the comment section. Ecom Elites Review by Franklin Hatchett. The best dropshipping course? Description: Ecom Elites by Franklin Hatchett. In this course, you will learn how to do dropsshipping from a Shopify store mainly from Aliexpress. The Commission Machine Review – Is it worth the money? Ecom Turbo Review – The best Shopify theme?